I thought I'd post a couple more pictures from the Sensoji Temple in Tokyo. 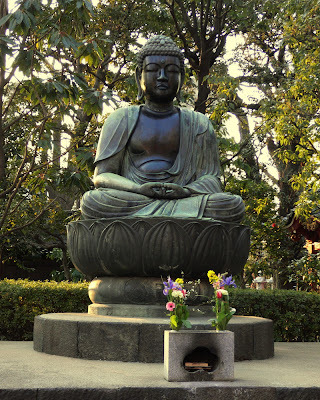 Here's one of a Buddha on the temple grounds...this is a Buddhist temple. 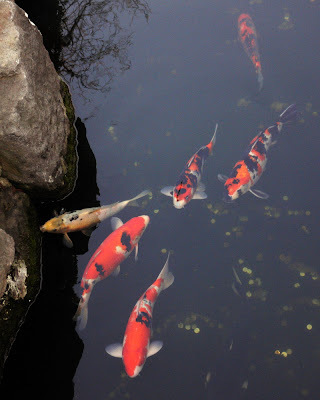 And, of course the omnipresent Koi (nishikigoi). Koi ponds are found everywhere. There are two here on Sasebo. I photographed these at the temple. Koi is the Japanese word for carp...they're just fancy.